An unfiltered, 100% bottle-conditioned, super-pungent imperial I.P.A. clocking in at 9% ABV and dry-hopped with Palisade, Amarillo, Simcoe, Cascade, CTZ, and Willamette hops. The beer will come out in June of 2009 in a handful of eastern seaboard states. It will only be packaged in 750ml champagne bottles. Seek it out... and hoard it from the non-believers. I received this as a birthday present from my friend Bob. I have had this several times before and I really like. 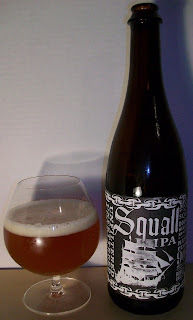 This beer was actually my first review, Dogfish Head Squall. What’s going to make this one special is that this one has been aged for two years. This one was bottled in February, 2009. I am a big fan of Cellaring/Aging and have experimented with it a few times. I can’t wait to see what effects it has had on this wonderful beer. 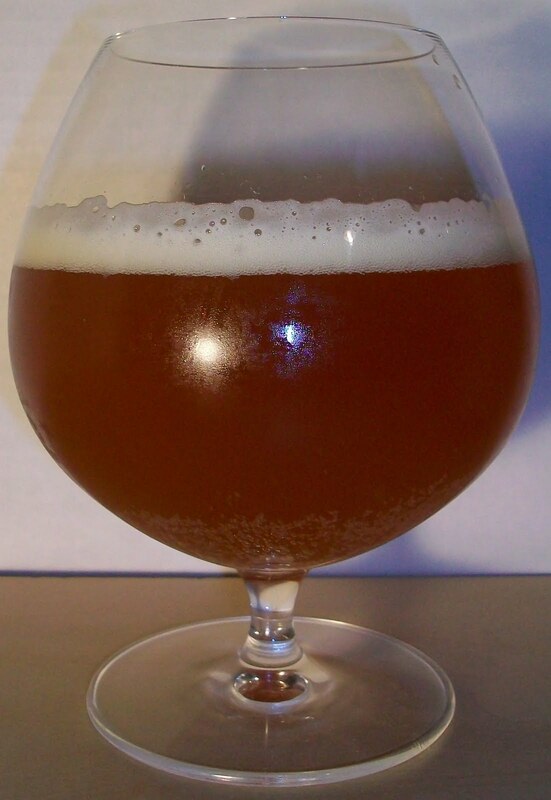 Anticipating a rich sipping experience I chose a snifter, not your typical ale glass. The beer pours a hazy amber with orange hues and an off white head. The nose is fantastic with rich caramel malt aromas with a unique hop complexity. The hop aromas do not seem as intense as I remember them. Outstanding! Wow what a great first sip. I remember this having an In Your Face type of intensity. It is amazing how this beer has mellowed in two years. The experience starts out with rich sweet rich caramel malts up front then the most exquisite mouthfeel as this delectable beer rolls over the tongue in the middle of the sip. The back-end is smooth and rich but you know this is a heavyweight. It still remains smooth through the swallow but there is no doubt that this is a big beer. 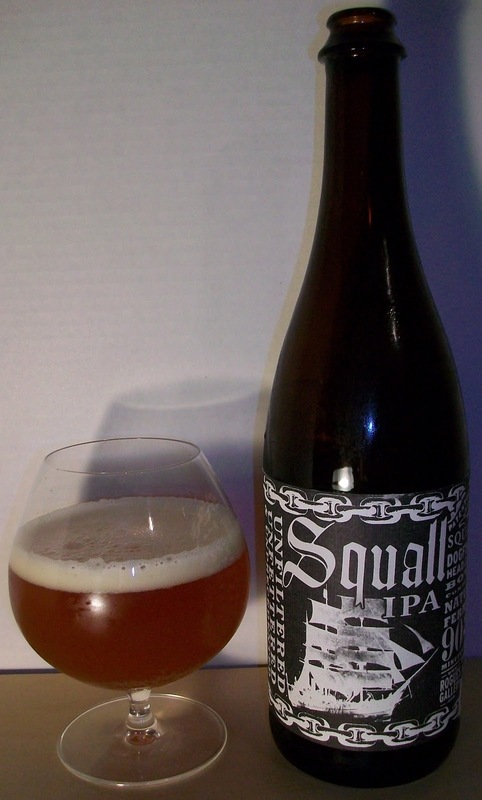 The finish is exquisite with rich caramel malt flavors, sweet alcohol with a mellow hop intensity. The final aftertaste is a little hoppy but mostly caramel malt. There is a creamy mouthfeel and coating throughout the entire mouth. Similar to how a stout leaves that coating but this one is sweeter with lighter malts. This is amazingly smooth and rich. It reminds me more of Samichlaus than a Double/Imperial IPA. This beer keeps getting smoother and more delicious as it warms. I’m been nursing this bottle for quite a long time. The last couple of snifters have been at room temperature and just delectable. What a great sipping experience. This was fantastic! The beer aged from intense IPA to a smooth “Beer Liqueur”. This is an A+ for sure. This exquisite ale has aged to perfection. It is hard to believe how much this beer has changed in two years. This is now the most exquisite smooth and rich experience.